A landmark study conducted by the University of Wisconsin-Madison has shown manure to provide better results in terms of crop yield and soil quality compared to the use of inorganic fertilizers. 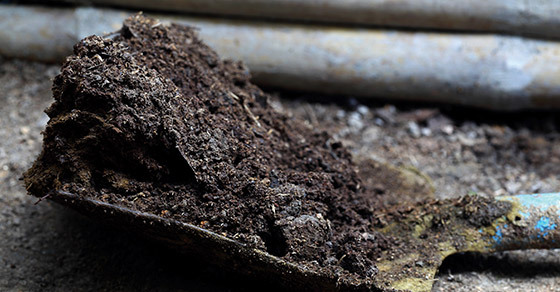 The study, Response of Soil Organic Carbon, pH, Electrical Conductivity, and Water Stable Aggregates to Long-Term Annual Manure and Inorganic Fertilizer, was recently published in Soil Science Society of America Journal. The results of this study could further bolster the growing movement toward utilizing manure more effectively. Conducted in South Dakota on corn and soybean fields, the 12-year study proved what many in the industry have long suspected: manure improves soil conditions markedly over traditional fertilizer products in almost every aspect. Soil pH is a critical factor in crop production, as it has a direct effect on nutrient availability. Most crops prefer a neutral pH. When soil pH becomes too basic or too acidic, the nutrients become locked up in the soil and unavailable to plants. Soil pH naturally becomes more acidic over time, making routine monitoring and occasional liming an important part of maintaining soil health and maximizing crop production. The study found that over time, the application of manure was able to maintain soil pH in a suitable range for crops, while inorganic fertilizers actually caused the soil to become more acidic. The electrical conductivity of soil, or rather, its salinity, can be used to gauge the overall health of the soil, correlating with a number of properties that influence crop productivity. Compared to those treated with inorganic fertilizers, manure-treated soils showed improved electrical conductivity at all soil depths. Soil organic carbon (SOC) is a measurement of the amount of organic matter in the soil. Organic matter is essential in soil quality, affecting a wide range of properties and overall soil health. Here again, manure proved to increase the SOC in the studied soils. Conversely, inorganic fertilizer treatment reduced SOC. The study also showed that manure increased water-stable aggregates in the soil. Water-stable aggregates are an important component in healthy soils, creating pore spaces that allow water, nutrients, air, and more, to move freely within the soil. Total nitrogen was also increased through the continued application of manure. While manure was once the agriculture industry’s primary means of fertilizing crops, issues around over-application and a belief that inorganic fertilizers were inherently better, led to its decline. Interest in utilizing manure more effectively has been on the rise, but there are still a number of challenges the industry must overcome to make widespread use both economic and environmentally friendly. Some of the most challenging aspects to using manure are summarized here. Runoff issues blamed in part on manure have brought on increasing regulation around when and how farmers can spread manure. With the trend towards larger farm sizes in the industry, producers are dealing with excessive amounts of manure, with few options for managing it. Another challenge that farmers must grapple with is the unpleasant odor emitted by manure – an odor that can be a problem for neighbors and the surrounding community. Pathogens and bacteria can also be a concern when working with manure. Care must be taken to ensure public safety when land applying raw manure. Perhaps the most common reason for ineffective manure utilization is the costly transportation fees it incurs. A moisture-laden material, manure is incredibly costly to transport, and as a result, does not make sense to transport more than a few miles from the farm. A proven way to avert the issues associated with manure, while still realizing its full value, is through granulation. The granulation of manure into a premium fertilizer product can resolve all of the aforementioned issues, and can even provide an additional source of revenue in some cases. It also offers improved product handling and application, as well as reduced waste management costs in many cases. Granulation processes manure into a premium fertilizer product – the formulation of which can be customized to meet on-farm or regional nutrient management requirements. The opportunity for nutrient runoff is reduced, because the use of a granular product makes following a nutrient management program much easier. Additionally, granules are dry, so the addition of moisture to the soil (which can contribute to runoff) is avoided. Because they are dry, transporting granules away from the farm also becomes a much more viable option. Granules can be produced in accordance with EPA standards in relation to pathogen content (when heavy metal thresholds are below the set standard in the raw material, products produced via FEECO granulation systems actually exceed the required pathogen destruction for a Class A biosolid according to the EPA’s 503 regulations). Odor is also significantly reduced. On-farm granulation plants, and even centralized facilities serving multiple farms, are becoming more common as the increasingly commercial scale of today’s farms makes this a more feasible option. While manure can provide substantial improvements to soil, including nutrients, manure alone cannot meet the increasing demand for food production; traditional inorganic fertilizers will still remain critical in the effort to feed the growing global population on less arable land. Soils around the world are recognized as nutrient deficient, and unable to provide the quantity and quality of nutritional foods the growing population requires. At the same time, scientists are uncovering the critical role that each and every single nutrient (macro and micro) plays in quality, high-yield crop production – no matter how small the quantity of the nutrient required by the plant. As a result, specialty fertilizers that utilize both organic and inorganic materials are becoming the new normal; by combining the benefits of manure with a controlled nutrient formulation, growers can maximize crop production and nutritional quality. Several studies have confirmed in recent years the complementary effects of combining organic and inorganic fertilizer sources. Granulation offers an added benefit in this setting, as its highly flexible process allows for the incorporation of both organic and inorganic/mineral components to create a customized formulation. The highly customized nature of specialty products combining inorganic and organic ingredients is pushing a movement in process and product development around such products. Testing facilities such as the FEECO Innovation Center are becoming central to realizing the products of tomorrow by producing small samples for field trials via batch testing and working out equipment configurations and process variables for developing commercial-scale processes through pilot testing. Producers are also increasingly investing in in-house granulation pilot plants. Testing is especially critical when it comes to organic materials, as even the same manure type can vary considerably across farms. The science behind using manure as a soil conditioner and fertilizer continues to gain traction, as studies affirm its value when compared to the exclusive use of inorganic or mineral fertilizer products. 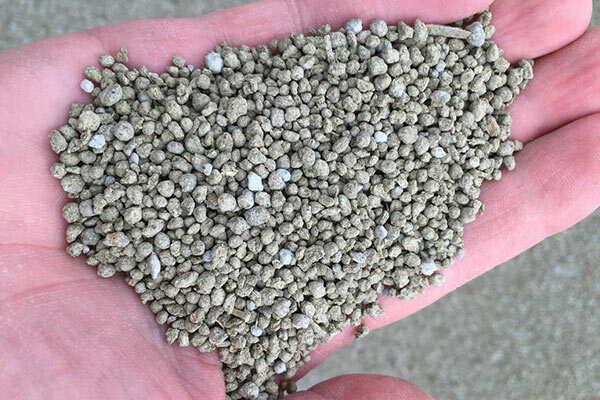 The combination of both inorganic and organic fertilizer products is quickly becoming a booming trend in the fertilizer industry, with testing facilities playing a critical role. As a key player in the development of the modern fertilizer industry, FEECO has been working with producers to develop custom fertilizer products – and the processes to support them – since 1951. For more information on our custom fertilizer equipment and pilot plants, or our batch and pilot testing capabilities, contact us today! 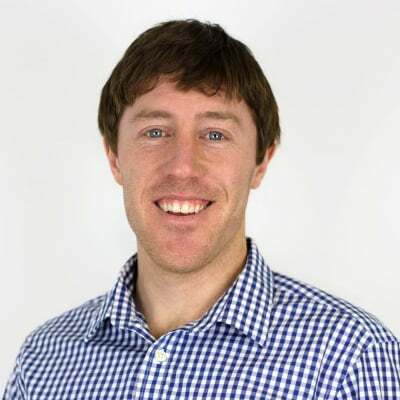 Nick Reckinger is a Process and Bioresources Sales Engineer.